Gluten-Free and Paleo options! Filled with high quality, organic, non-gmo Superfoods. NEVER contains gluten, dairy, soy, preservatives or additives. Each flavor is thoughtfully crafted in small-batches with global spices, natural sweeteners, adaptogens, fresh herbs and locally sourced ingredients. Designed for the postpartum mom during the first 6-10 weeks but also great for anyone looking to cleanse. These nutritionally rich vegetarian meals support lactation, digestion, boost immunity and improve metabolic health. Makes a wonderful new mom gift for a speedy recovery! Specializing in small scale family style catering, Ryanne loves feeding people food for the soul. Available for pop-ups, fundraisers, workshops and retreats. Menus are often based in SE Asian cuisine or Ayurvedic wellness. You can also find upcoming cooking class opportunities at the Learning Kitchen Atlanta. Stay in touch! 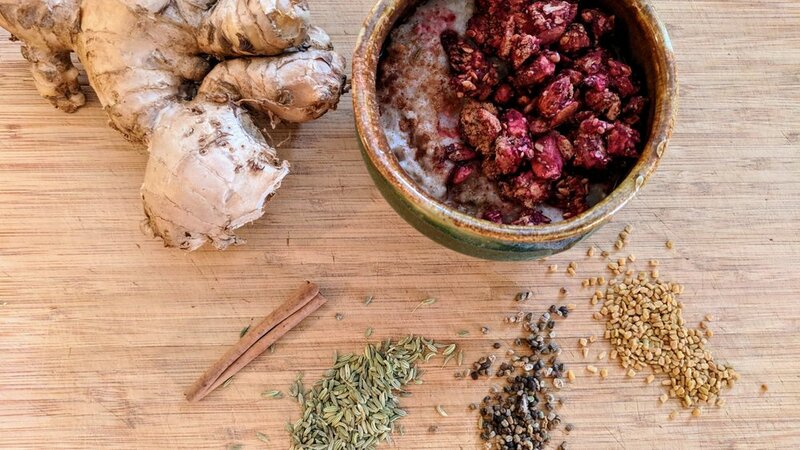 Get updates on new menu items for Ayurvedic Meal Delivery, access special promotions, stay informed about upcoming events, pop-ups and cooking classes.